Right about now, I'd say there are a lot of school kids pissed at god. They were praying for a snow day. 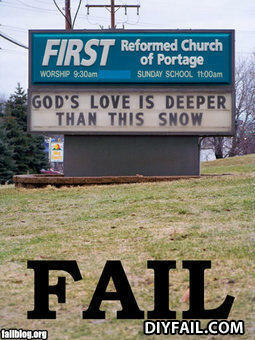 Apparently his love is nonexistent...much like himself. I argue against everything taken on faith, but I can't argue with this. It's not "as deep as", it's "deeper". It can be anything more than zero, at that point.